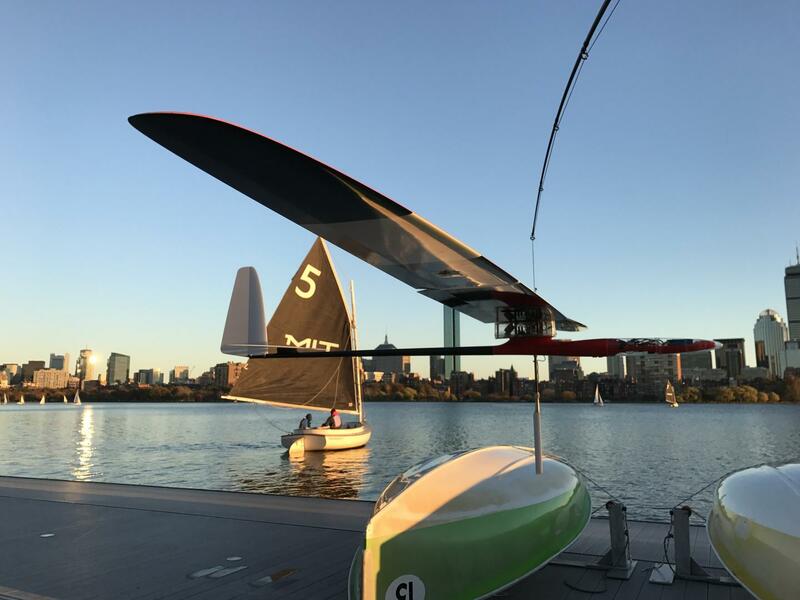 CAMBRIDGE, MA – MIT engineers have designed a robotic glider that can skim along the water's surface, riding the wind like an albatross while also surfing the waves like a sailboat. The researchers decided to test this "critical maneuver" — the act of transitioning between flying in the air and dipping the keel down to sail in the water. Accomplishing this move doesn't necessarily require a sail, so Bousquet and his colleagues decided not to include one in order to simplify preliminary experiments. "We were flying very close to the surface, and there was very little margin for error — everything had to be in place," Bousquet says. "So it was very high stress, but very exciting."